The Tequila Surprise is just what it sounds like. Are you ready for the surprise? 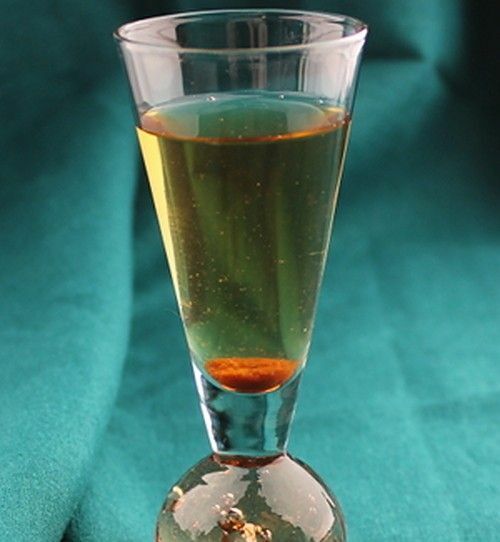 It’s tequila with – wait for it – 8 drops of hot sauce dropped down into it. The hot sauce goes straight to the bottom and clumps there, as you can see in the picture. This is definitely a shot for chugging, not savoring – unless you can take something like slightly watered down Tobasco swirling around in your mouth for a while. Admittedly, this drink is not for everybody! Fill a shot glass with tequila. Add about 8 drops of Tobasco or any other hot sauce.